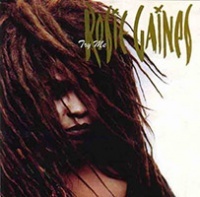 Try Me is a studio album by Rosie Gaines originally planned for release in 1994, but eventually released digitally in 2005; many of the tracks had since been worked on further and released on Closer Than Close, released in 1995. Try Me features one song with writing and musical input by Prince - In The Socket (previously released by the NPG Music Club in a remixed form as Hit U In The Socket). Work on a solo Rosie Gaines album began while she was still a member of the New Power Generation band, in 1990 (I Want U was first recorded in late 1989, before work on the album commenced). Work continued until September 1991, when she and Prince fell out regarding her solo career. She was contracted to Paisley Park Records, however, and continued to work on the album without Prince following her departure from the band (after the Diamonds And Pearls Tour). The album became known as Concrete Jungle. After Paisley Park Records closed, Rosie Gaines worked on the album further, now renamed Try Me. The album still remained unreleased, however, until she worked on it further, renamed it Closer Than Close and released it on Motown Records (see that album's entry for full details of its release). In The Socket, as released on Concrete Jungle, is the original 1991 recording, which was later remixed for its release in 2001 through the NPG Music Club. No singles were released to promote the album, and the album did not enter any charts, receiving a release only through RosieGaines.com. No physical CD is known to exist, therefore the tracks below are listed from the RosieGaines.com download version. 1 Written by Rosie Gaines and Prince. No other production credits available. This page was last modified on 28 December 2018, at 07:04.